Are you a US citizen under the age of 32? Are you interested in working for the UN? 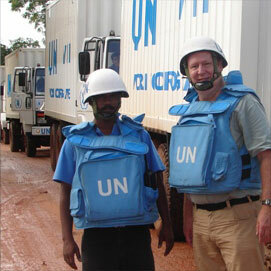 The UN Young Professionals Program may be for you. António Guterres, the ninth Secretary-General of the United Nations, took office on January 01, 2017. On January 1, 2016, the 17 Sustainable Development Goals (SDGs) — adopted by world leaders in September 2015 at an historic UN Summit — officially came into force. Over the next fifteen years, with these new Goals that universally apply to all, countries will mobilize efforts to end all forms of poverty, fight inequalities and tackle climate change, while ensuring that no one is left behind. At the Nuclear Security Summit in Washington, D.C., Secretary-General Ban Ki moon has attended a working lunch with other dignitaries and in his remarks, he is expected to spotlight the crucial role played by the International Atomic Energy Agency (IAEA) in the area of nuclear security. Many states lack sufficient capacity to act on nuclear security threats and this is where the IAEA role is indispensable in providing expertise, advice and technical assistance, said UN Spokesperson Stéphane Dujarric. The spokesperson also noted that the UN chief will also highlight the importance of UN Security Council resolution 1540, requiring the states to prevent the proliferation of weapons of mass destruction, and of the UN Convention for the Suppression of Acts of Nuclear Terrorism. On the margins of the Summit, the Secretary-General met with the President of France, François Hollande. The Secretary-General and the President discussed the situation in Western Sahara. They also exchanged views on the situation in Mali. Mr. Ban thanked France for its continued support to the implementation of the peace agreement in Mali, for the review of the mandate of the UN Mission in Mali (MINUSMA) and for tackling issues of insecurity and the re-establishment of State authority throughout the country. He thanked France for its continued support to the democratically elected Government of the Central African Republic, underlining the need to maintain international attention on the situation in the country. On the allegations of misconduct by peacekeeping troops in the Central African Republic (CAR), the Secretary-General and President Hollande agreed on the imperative of a thorough investigation to ensure that perpetrators be brought to justice. Mr. Ban also met with the President of Ukraine, Petro Poroshenko and commended the country for its important contribution to global nuclear security. Regarding the ongoing conflict in eastern Ukraine, Mr. Ban expressed his deep concern over the precariousness of the security situation and reiterated the urgent need for full implementation of the Minsk agreements. President Poroshenko also updated the Secretary-General on the domestic political situation in Ukraine. Welcome to the United Nations Information Center – Washington’s new website. Welcome to the United Nations Information Center – Washington’s new website. With this new, more interactive site, we encourage you to not just explore the UN in Washington and dig deeper into the UN’s main site through links to in-focus issues, but to actively participate in the dialogue on the UN’s work around the world – work that is critical to U.S. interests globally. 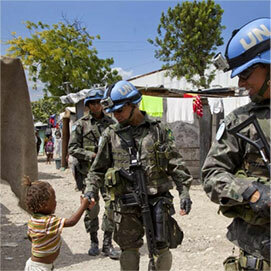 Whether it is with peacekeepers in conflict zones working to establish and keep security in difficult regions, through humanitarian relief efforts after natural disaster, or by helping build democratic institutions that support equal rights for all, the UN is taking actions that will create a better and more secure world for all people, including Americans. To do its work, the UN has become a more open place. While governments clearly take the lead in all decision making on UN activities, there is an ever increasing space for business, civil society, and citizen voices to be heard. At UNIC-Washington, we strive to make the UN understandable and accessible to all sectors and individuals in Washington and throughout the U.S., and want to hear back from those who are interested in the UN’s role in the world. We welcome your visits and comments on this blog and the website, we hope you’ll follow us on our social media platforms, and, most of all, that you will engage with the efforts of the UN. Having been with the UNIC-Washington for just over 3 months now, I look forward to connecting with communities across the U.S. and learning about your concerns and ideas for the UN. In our rapidly changing world where challenges and opportunities continue to arise and evolve, everyone needs to have a voice and an opportunity to contribute. In our own small way at UNIC-Washington, we strive to make that happen. “The resolutions adopted by the General Assembly may not all be acted on right away. Yet they stand as our common position on the most pressing issues of our times,” Mr. Ban toldUN officials and delegates attending the commemoration. “These resolutions tell the story of our resolve. They reflect our conviction that the countries of the world coming together can do far more collectively than they ever could alone. Each delegate who speaks, each vote that is cast, every gavel that opens a new meeting adds a little more hope to the world,” said the Secretary-General. Seventy years ago on 10 January 1946, 51 nations came together at Westminster Central Hall in London, England, and called to order the first meeting of the UN General Assembly. Among the many people who participated in that meeting was Sir Brian Urquhart, a British Government official who went on to serve the United Nations over four decades. He was among the participants in today’s events. The President of the 193-Member body’s current session, who himself turned 70 on Saturday, began hisaddress by highlighting several features from the first ever meeting, such as it lasting just over one hour with only one decision taken – whom to elect as its first President. “Interestingly, but not surprisingly, not one of the Permanent Representatives (PR) that day were female – a matter which remains a concern today where only 18 per cent of PRs are female,” stressed Mogens Lykketoft. Mr. Lykketoft underlined that following a “horrific period” of war, destruction, genocide and nuclear bombings, nations of the world deliberately decided to come together. In their remarks, both Secretary-General Ban Ki-moon and President Lykketoft highlighted some of the most notable General Assembly achievements in the past year, including agreeing the Addis Ababa Action Agenda, the 2030 Agenda for Sustainable Development, and the Paris Agreement. “We must also expand the spirit of cooperation of 2015 into every area of work of the General Assembly in 2016,” insisted the President of the 70 year-old Assembly. Other speakers at today’s commemoration included representatives from Sudan (on behalf of African States), Fiji (on behalf of Asia-Pacific States), Albania (on behalf of Eastern European States), Trinidad and Tobago (on behalf of the Latin American and Caribbean States), Italy (on behalf of Western European and other States) and the United States (on behalf of the host country). “If confirmed as a nuclear test, this act constitutes a breach of the universally accepted norm against nuclear testing; a norm that has been respected by 183 countries since 1996,” said the Executive Secretary of the CBTO, Lassina Zerbo, in a statement. Welcoming the newly signed United Nations-brokered accord for a national unity government in Libya, the Security Council today urged the parties to implement its terms within the 30-day time limit, and called on the world community to provide all necessary aid to defeat terrorist groups. 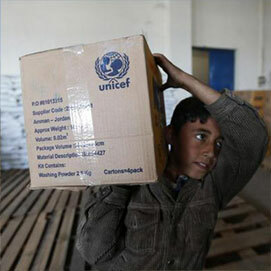 The agreement to form a Government of National Accord with a Presidency Council, Cabinet, House of Representatives and State Council – signed in Morocco last week – was facilitated by the Secretary-General Special Representative, Martin Kobler, in a bid to end a four-year-long crisis that has left nearly 2.4 million Libyans in desperate need of humanitarian aid. In a unanimously adopted resolution, the Council hailed the formation of the Presidency Council and called on it to work within the 30 days prescribed by the agreement to form a Government of National Accord, and finalize interim security arrangements needed to stabilize the North African country, which has been plagued by factional fighting since the 2011 revolution. It called on all Member States to fully support Mr. Kobler’s efforts and work with the Libyan authorities and the UN Support Mission in Libya (UNSMIL), which he heads, to develop a coordinated package of support to build the capacity of the Government of National Accord. The resolution voiced concern at the grave humanitarian situation in Libya, called for the full participation of women in all activities relating to the democratic transition, conflict resolution and peacebuilding, and urged Member States to respond generously to humanitarian aid appeals. It condemned terrorist acts committed in Libya by groups proclaiming allegiance to the Islamic State in Iraq and the Levant (ISIL); condemned any direct or indirect trade, in particular in oil and oil products, modular refineries, chemicals and lubricants with such groups; and called on all Member States to cooperate with the new Government to end such smuggling. It urged coordinated international support tackle the threat posed by unsecured arms and ammunition and their proliferation in undermining regional stability, including through transfer to terrorists. It also urged Member States to share with the new Government and with each other information on migrant smuggling and human trafficking in Libya’s territorial sea and on the high seas off the coast and to aid migrants and human trafficking victims recovered at sea. December 17, 2015 – At its first ever meeting at Finance Ministers’ level, the United Nations Security Council today stepped up its efforts to cut off all sources of funding for the Islamic State in Syria and Iraq (ISIL) and other terrorist groups, including ransom payments, no matter by whom. In a unanimously adopted resolution at a session presided over by Treasury Secretary Jack Lew of the United States, which holds its monthly presidency, the 15-member body called for enhanced actions, from closing financial system loopholes to stopping the abuse of charitable causes, as well as updating the existing ISIL and Al-Qaida Sanctions List. The resolution called for increased international cooperation in sharing information and closer collaboration with the private sector to identify suspect transactions. The Council also called on Member States to promote enhanced vigilance by persons within their jurisdiction to detect any diversion of explosives and raw materials and components that can be used to manufacture improvised explosive devices or unconventional weapons, including chemical components, detonators, detonating cord, or poisons. “They (the terrorists) are agile and have been far too successful in attaining resources for their heinous acts,” Secretary-General Ban Ki-moon told the Council at the start of the debate. “As Da’esh (another name for ISIL) and other terrorist groups disseminate their hateful propaganda and ratchet up murderous attacks, we must join forces to prevent them from acquiring and deploying resources to do further harm,” he stressed. “We know the challenge before us. Terrorists take advantage of weaknesses in financial and regulatory regimes to raise funds. They circumvent formal channels to avoid detection, and exploit new technologies and tools to transfer resources. They have forged destructive and very profitable links with drug and criminal syndicates – among others. And they abuse charitable causes to trick individuals to contribute,” said the UN chief. He noted that progress has been made over the years in identifying and limiting various methods of terrorist financing, with Member States ratifying the International Convention on the Suppression of the Financing of Terrorism and adopting legislation to criminalize terrorist financing and strengthen regulatory systems. “Still, more needs to be done,” Mr. Ban stated. “Terrorists continue to adapt their tactics and diversify their funding sources. Today, Da’esh runs a multi-million dollar economy in territories under its control. Da’esh terrorists raise money through the oil trade, extortion, undetected cash couriers, kidnapping for ransom, trafficking of humans and arms and racketeering,” he said. With terrorists increasingly employing elusive tricks to raise and transfer funds, covering their tracks and leaving little evidence to identify tainted resources, the international community must stay ahead of the curve to combat their ploys, he said, noting that many States have yet to set up the necessary legal regimes and institutions to identify and freeze terrorist assets. Mr. Ban called for increased international cooperation in sharing information and expertise, especially in stopping the illegal trade of cultural artefacts, and closer cooperation with the private and charitable sectors to identify suspected transactions. Following the adoption of the new Paris Agreement on climate change, United Nations Secretary-General Ban Ki-moon said government representatives made history today. Gaveling the Agreement with a green hammer, the French Foreign Minister and President of COP21 Laurent Fabius announced the historic news—a moment greeted with loud applause and cheers, as the room stood up. Many delegates hugged, while others had tears in their eyes. For the first time today, every country in the world—all 196 Parties to the UN Framework Convention on Climate Change (UNFCCC)—pledged to curb emissions, strengthen resilience and joined to take common climate action. This followed two weeks of tireless negotiations at the United Nations climate change conference (COP21). Recalling that he made climate change one of the defining priorities of his tenure as Secretary-General, Mr. Ban said that most of all, he has listened to people – the young, the poor and the vulnerable, including indigenous peoples, from every corner of the globe. 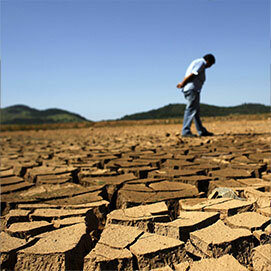 “All countries have agreed to hold global temperature rise to well below 2 degrees Celsius. And recognizing the risk of grave consequences, you have further agreed to pursue efforts to limit temperature increase to 1.5 degrees,” he announced. In addition, a review mechanism has been established whereby every five years, beginning in 2018, Parties will regularly review what is needed in line with science. “Governments have agreed to binding, robust, transparent rules of the road to ensure that all countries do what they have agreed across a range of issues,” Mr. Ban added. Meanwhile, highlighting the role of the private sector, the UN chief said business leaders came to Paris in unprecedented numbers and that “powerful” climate solutions are already available while many more are to come. Earlier today, at a meeting of the Committee of Paris [Comité de Paris]—the body which is overseeing the negotiations at COP21—the UN chief spoke alongside the President of France, François Hollande as well Minister Fabius. “The end is in sight. Let us now finish the job. The whole world is watching. Billions of people are relying on your wisdom,” the Secretary-General had told delegates. “People worldwide, our citizens, our children, wouldn’t understand if we didn’t adopt it and wouldn’t forgive us,” he insisted. Marking this year’s Human Rights Day amid extraordinary global challenges, the United Nations is calling on the world to recognize and guarantee fundamental freedoms – long recognized “as the birthright of all people” – freedom from fear, freedom from want, freedom of speech and freedom of thought, conscience and religion. “In a year that marks the 70th anniversary of the United Nations, we can draw inspiration from the history of the modern human rights movement, which emerged from the Second World War,” said Mr. Ban in a message to mark Human Rights Day, celebrated annually on 10 December. The Secretary-General highlighted the condition of millions of people, who are denied freedom of expression and are living under threat and urged to defend, preserve and expand democratic practices and space for civil society for lasting stability. Mr. Ban also noted that across the globe, terrorists have “hijacked religion, betraying its spirit by killing in its name,” or targeting minorities and exploring fears for political gain, thereby denying people their freedom of worship. “In response, we must promote respect for diversity based on the fundamental equality of all people and the right to freedom of religion,” stressed the Secretary-General. Speaking about freedom from want, UN chief said much of humankind is plagued by deprivation and called on world leaders to implement the 2030 Agenda for Sustainable Development with the aim of ending poverty and enabling all people to live in dignity on a peaceful, healthy planet. Mr. Ban also said that millions of refugees and internally displaced persons are a tragic product of the failure to fulfil the freedom from fear, adding that not since the Second World War have so many people been forced to flee their homes. “They run from war, violence and injustice across continents and oceans, often risking their lives. In response, we must not close but open doors and guarantee the right of all to seek asylum, without any discrimination. Migrants seeking an escape from poverty and hopelessness should also enjoy their fundamental human rights,” said the Secretary-General. Lastly, reaffirming UN’s commitment to protecting human rights as the foundation of the Organization’s work, Mr. Ban highlighted the features of the Human Rights Up Front initiative, which aims to prevent and respond to large-scale violations. In a video message, Mr. Zeid noted that Human Rights Day 2015 marks the launch of a year-long campaign to celebrate the 50th anniversary of two of the oldest international human rights treaties – the International Covenant on Civil and Political Rights and the International Covenant on Economic, Social and Cultural Rights. “These two documents, along with the Universal Declaration of Human Rights, form the ‘International Bill of Human Rights,’ which together set out the civil, cultural, economic, political and social rights which are the birth right of all human beings,” said Mr. Zeid. He also stressed that freedoms set out in these documents are universal, applicable to everyone, everywhere and noted that traditional practices, cultural norms, cannot justify taking them away. “The world has changed since the UN General Assembly adopted the Two Covenants in 1966. The Covenants, together with the other human rights treaties, have played an important role in securing better respect and recognition during the past five, at times turbulent, decades,” added Mr. Zeid. At the same time, the UN rights chief noted that the drafters of the Covenants could have had little idea of issues such as digital privacy, counter-terrorism measures and climate change, but respect for freedom continues to be the foundation for peace, security and development for all. Along with positioning youth and youth-led organizations as important partners in the global efforts to counter violent extremism and promote lasting peace, the resolution also gives impetus to the youth-led peacebuilding and conflict-prevention interventions to build peaceful communities and underpin democratic, inclusive governance. Reacting to the Council’s action, Ahmad Alhendawi, the UN Secretary-General’s Envoy on Youth, haled the text as “a major breakthrough” in collective efforts to change the predominantly negative narrative on youth and recognize the significant role of young people in peacebuilding. Through the resolution, the Council also urged Member States to increase their political, financial, technical and logistical support, that take account of the needs and participation of youth in peace efforts, in conflict and post-conflict situations, including those undertaken by relevant entities, funds and programmes. It also encourages all those involved in the planning for disarmament, demobilization and reintegration to consider the needs of youth affected by armed conflict. And for next steps, the resolution requests Secretary-General Ban Ki-moon to carry out a “progress study” on the youth’s positive contribution to peace processes and conflict resolution, in order to recommend effective responses at local, national, regional and international levels. Despite a significant reduction in hostilities in eastern Ukraine in the last few months in a conflict that has already left over 9,000 people dead and nearly 21,000 injured, serious human rights concerns persist, including killings, torture and impunity, the United Nations reported today. The situation remains “highly flammable” due the inflow of ammunition, weaponry and fighters from Russia into territories controlled by armed groups, although an accord in August to strengthen a frequently violated earlier ceasefire led to the withdrawal of heavy weapons by the Ukrainian military and the armed groups, the UN Human Rights Monitoring Mission in Ukraine said in its latest report. Serious human rights abuses against people in the territories controlled by the self-proclaimed “Donetsk people’s republic” and “Luhansk people’s republic” continue, including killings, torture, ill-treatment, illegal detention and forced labour, lack of freedom of movement, assembly and expression, the Mission added in the report, the 12th it has issued on the nearly two-year-old conflict. It also noted that elements of Ukraine’s security service appear to enjoy a high degree of impunity in documented cases of “enforced disappearance, arbitrary and incommunicado detention as well as torture and ill treatment of people suspected of trespassing against territorial integrity or terrorism or believed to be supporters” of the two self-proclaimed republics. Moreover, millions of people living in the affected areas face a difficult humanitarian situation and local residents continue to remain without effective protection of their rights. “An estimated 2.9 million people living in the conflict area continued to face difficulties in exercising their economic and social rights, in particular access to quality medical care, accommodation, social services and benefits, as well as compensatory mechanisms for damaged, seized or looted property,” the report said. Between 16 August and 15 November, the time period covered by the report, 47 civilians were killed and 131 injured. The total death toll since mid-April last year is at least 9,098, with another 20,732 injured, including civilians, Ukrainian armed forces and armed groups. The new casualties resulted largely from explosive remnants of war and improvised explosive devices, “underscoring the urgent need for extensive mine clearance and mine awareness actions on both sides of the contact line,” the report said. It cited pervasive self-censorship and the inability of media professionals to exercise their freedom of expression in the east, adding that restrictions against media professionals by the Government also undermine freedom of expression. Turning to the Autonomous Republic of Crimea, the report said residents continue to be affected by the broad curtailment of their rights due to the application of a restrictive legal framework imposed upon them by Russia. The Mission continues to receive allegations of violations of the right to life, liberty, security and physical integrity, to a fair trial and to freedom of expression and peaceful assembly, it added, also noting that the trade blockade of Crimea imposed by Ukrainian activists has led to human rights abuses, which were not properly addressed by law enforcement officers. “Civilians in the conflict-afflicted eastern parts of Ukraine end the year as they began it, in a very difficult humanitarian and human rights situation,” UN High Commissioner for Human Rights Zeid Ra’ad Al Hussein said, summing up the report. While welcoming the reduction in hostilities, he urged all sides to fully implement the ceasefire accords and reminded all sides, including those in control of certain areas of the Donetsk and Luhansk regions, that they can be held criminally accountable for the human rights abuses committed in territories under their control. In late February 2014, the situation in Ukraine transcended what was initially seen as an internal Ukrainian political crisis into violent clashes in parts of the country, later reaching full-scale conflict in the east. Nevertheless, despite a September 2014 ceasefire agreed in Minsk, the situation has since deteriorated, with serious consequences for the country’s unity, territorial integrity and stability. “This year, we mark World AIDS Day with new hope,” Secretary-General Ban Ki-moon said in his message on the Day, which is celebrated on 1 December each year as one of the most recognized international ‘health days’ and a key opportunity to raise awareness, commemorate those who have passed on, and celebrate victories, such as increased access to treatment and prevention services. The UN chief applauded the staunch advocacy of activists, the persistent efforts of health workers, the principled stance of human rights defenders and the courage of all those who have joined forces to fight for global progress against the disease. “And this is how we will end the epidemic: by moving forward together,” emphasized Mr. Ban. Mr. Sidibé launched over the weekend a global initiative in Libreville, Gabon, encouraging youths to get tested for HIV and calling on young people worldwide to join the movement and get involved in ending the AIDS epidemic. UNAIDS estimates that 17.1 million of the 36.9 million people living with HIV worldwide do not know they have the virus. Getting tested is a crucial first step for people living with HIV to access life-saving antiretroviral therapy. Meanwhile, the UN World Health Organization (WHO) has emphasized that expanding antiretroviral therapy to all people living with HIV is key to ending the AIDS epidemic within a generation. “The Millennium Development Goal of reversing the HIV epidemic was reached ahead of the 2015 deadline – an incredible achievement that testifies to the power of national action and international solidarity,” said WHO Director-General, Dr. Margaret Chan. Last week, the UN Children’s Fund (UNICEF), in its Statistical Update on Children, Adolescents and AIDS, reported that the number of adolescent deaths from AIDS has tripled over the last 15 years with 26 new infections occurring every hour. At the UN General Assembly in September, world leaders endorsed the Sustainable Development Agenda. This new framework includes the target of ending the AIDS epidemic by 2030 – by reducing new infections by an additional 75 per cent by 2020 and by ensuring that, in the coming 5 years, 90 per cent of people living with HIV are aware their infection and that 90 per cent of those are on antiretroviral therapy (ART).